223 Remington/5.56 (M193) ammunition for sale online, in-stock, at discount prices, including cheap ammunition, bulk ammunition, and surplus ammo from brands like Black Hills Ammunition, Bear Ammunition, Winchester Ammo, Remington Ammo, Fiocchi Ammunition, Hornady, PMC Ammunition, Federal Cartridge, Armscor Ammunition, CCI Ammunition, and Tulammo, HPR Ammunition in 223 Remington and 223 Remington 5.56 NATO. 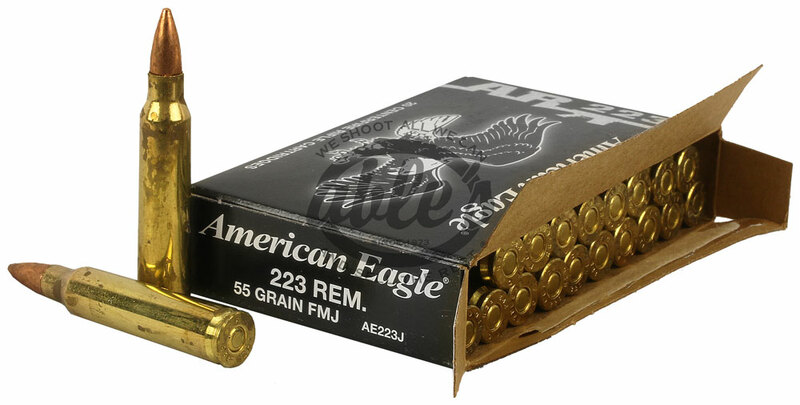 In addition to 223 Remington/5.56 (M193) ammo, we also carry rifle ammunition, pistol ammo, and shotgun shells from top brands. In stock and ready to order with our easy to use and fast one page checkout!